Home / Iran / What Does the Future Hold for Water in Iran? Iran is facing unprecedented challenges in securing water and food for its growing population, which is projected to reach 92 million by 2050. 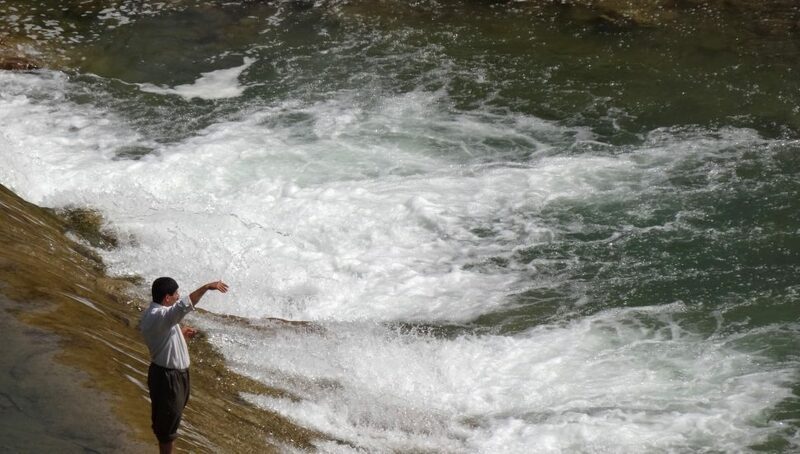 These challenges are due not only to Iran’s semi-arid climate and declining precipitation over the past decade, but also to mismanagement of water resources. If the present trend continues, the current water scarcity will become a crisis. A major shift in government thinking is required to implement large-scale reforms at different levels based on sound scientific findings. There are many success stories from around the country that the government should support and scale up. In Khorasan Razavi province, for instance, small-scale schemes have used scientific models to match cropping patterns with the available water. This can be easily applied to other sites on a larger scale. A number of small-scale community-based projects implemented by the UNDP’s Small Grants Program  have also proven that when farmers are convinced of their economic benefit, they are willing to adapt to new cultivation methods. Government policies and activities over the past few decades also hold many lessons for formulating future policies (for more information, please refer to ‘Factors arising from managerial policies’). As a first step, a comprehensive strategy and financial resources should be made available for the collection of water-related data and establishment of a comprehensive databank. Advanced technologies such as satellite imaging and remote sensing can contribute to solving some of the present challenges in Iran, including monitoring groundwater extractions from illegal wells. In recent years, extensive awareness-raising measures have laid the groundwork for public and community participation in water saving and environmental protection. The National Broadcasting Organization has produced numerous short video clips as well as short radio messages that target a large audience. Moreover, NGOs and civil societies are increasingly tackling water and environmental issues. They have proven success in involving young people in voluntary activities to train communities and farmers in new water-saving approaches. This group could also be mobilized to educate farmers on sustainable agricultural practices that demand less water. The Danab Project  exemplifies how a small initiative by local NGOs in Khorasan Razavi province can be successfully scaled up to the national level. In this project, all middle school students across the country (junior high level) were trained on water-saving techniques and environmental conservation. The success of the project was due mainly to the training kits, which were developed according to local norms, and the low cost ($1 per student). The post-sanctions chapter in Iranian politics holds opportunities for international cooperation to address the country’s water challenges. Iran should be open to learning from international stories of both success and failure, and to benefit from recent technological advances, including clean energy and water-saving technologies.